In one word: Yes! At least, that is the experience of the Danish Customs and Tax Administration (SKAT). There are, of course, issues to be considered and addressed before taking the decision to use a private laboratory as a Customs laboratory, but once the issues have been addressed, it is entirely possible. The first question that arises is why even consider using a private laboratory? Being a small country with an equally small number of Customs officers, it would be difficult for Denmark to finance a Customs laboratory with the necessary equipment and staff it with qualified personnel. Even if was possible, SKAT would not have a sufficient number of samples to analyse, thereby finding it hard to justify the cost of having its own Customs laboratory. The most important advantage is that instead of just having access to the expertise of one or two Customs chemists and a few laboratory technicians, SKAT now has access to the expertise of the approximately 1,300 employees of FORCE Technology – the company that it uses as a Customs laboratory – who cover a wide range of specialities. Not only can the company handle usual SKAT requests to analyse the content of sugar, cocoa, alcohol, proteins, etc., but also questions about materials like polymers, ceramics and metals, including how a set-top box works and whether a screw has been turned from a bar or not, as well as liquid scintillation analysis to determine biogenic alcohol or fuel, etc. Seen from the point of view of a Customs officer, it makes life easier when all technical questions can be directed to the same place and not to a wide range of advisory bodies. Using a laboratory which is ISO 17025 accredited for some of the analytical methods important for Customs purposes, which participates regularly in proficiency tests and which has a quality management system is generally a good idea. Besides its accreditation, another advantage of having an external laboratory is that the analysis is done by a body independent of SKAT, thereby adding credibility to the results of the laboratory. As SKAT bases its final decision on these results, it also adds extra credibility to Customs’ decision. There are, of course, some issues that need to be addressed before deciding on the use of a private laboratory as a Customs laboratory. The same factor that lends extra creditability to the analytical result – the fact that the laboratory is not part of the Customs authority – is also cause for the main issue that needs to be addressed, namely the matter of confidentiality. It goes without saying that the contract between SKAT and FORCE Technology stipulates absolute confidentiality. However, even in everyday work, confidentiality remains a focus issue – for example, emails are used internally between Customs officers without having to worry about the confidentiality of the content. But as the laboratory does not use SKAT’s internal secure mail system, extra precaution is needed when communicating with them. Therefore, proper routines and secure emails, including a system to handle requests for analysis, receipts of samples and the exchange of analytical results, may all be helpful in ensuring safe and easy communication between Customs and the laboratory. Another issue is that as the laboratory is private, it is often not recognized as an official Customs laboratory, making access to forums reserved for official Customs laboratories, on occasion, slightly more problematic than would otherwise be the case. Finding the right laboratory is another major issue. Many laboratories can provide you with sound and valid results, when it comes to the content of alcohol, sugars, proteins, etc., but not many of them have knowledge of the Harmonized System – its definition of stainless steel, or that theobromine is decisive when determining cocoa content, or what is meant with composition leather, or how to differentiate between ceramics and porcelain, etc. There is also the issue of the contract between the laboratory and the Customs administration to consider. Due to the rules on public procurement, every four years a call for tender for the contract has to be published. This requires quite a significant amount of work, both from the Customs authority and the tenderers wishing to submit a bid for the contract. Special care must be taken to ensure that the contract covers all the needs of the Customs administration at a reasonable price level. Even the best laboratory will occasionally need help from experts outside the laboratory, so procedures concerning such subcontractors should also be in place. For the Customs officer, collaborating with the laboratory follows the normal practice. A sample is taken or provided together with a request for an advance ruling. The officer-in-charge then decides if an analysis is required – if so, the sample together with any additional information is forwarded to the laboratory for analysis. After performing the analysis, the laboratory forwards its report and a suggested classification to the Customs officer-in-charge. It is then up to the Customs officer to make the final decision based on the available information. The officer is not obliged to follow the laboratory’s suggested classification but will mostly do so. Any doubts or uncertainties will usually be discussed between the Customs officer-in-charge and the laboratory before a suggested classification is overturned. Besides everyday discussions between individual Customs officers and the laboratory, quarterly meetings are also held between representatives of FORCE Technology and SKAT to discuss general issues, problematic cases, and so on. The use of a private laboratory as a Customs laboratory is not a new thing in Denmark. The first contract between Customs and a private laboratory was signed on 1 April 1908! Over the years the name of the laboratory has changed a number of times, it has been a private laboratory then one under governmental control and later privatized again, it has merged with other laboratories, etc., however collaboration between Customs and the laboratory has continued throughout. So yes, it is possible to use a private laboratory as a Customs laboratory. Although it does require some considerations beforehand, what is most important is that it should be the right laboratory which can handle all the needs of a Customs administration. The Danish Customs and Tax Administration, or SKAT, is an independent national agency responsible for administering and enforcing tax laws. SKAT handles the administration of all tasks relating to direct and indirect taxes, Customs, debt collection, and the tax assessment of real estate and vehicles. 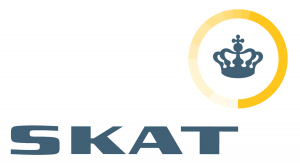 The contract between SKAT and FORCE Technology covers a wide array of topics. Besides the analysis of samples for Customs, it also covers analysis for excise duty purposes, technical advice concerning legal texts and the translation thereof, and participation in different meetings at the national and international level. FORCE Technology is one of the leading technological consulting and service companies in Denmark and internationally. The company makes a targeted effort to sell highly specialized engineering knowledge, offering practical and cost-effective solutions to a wide range of industries. It has more than 1,300 employees working at its headquarters in Brøndby and in offices all over Denmark, as well as at subsidiaries in China, Norway, Singapore and Sweden. The Customs laboratory is part of FORCE Technology’s department of chemical analysis. It is equipped with modern analytical instruments for inorganic, organic, material and surface analysis, as well as equipment for physical testing. The Customs chemists consult regularly with experts from other departments, when additional specialized knowledge is needed to answer questions relating to Customs matters.